C’mon everyone, now. All together: the itsy bitsy spi--HOLY MOLY! That's a huge spider! That massive spider is neither itsy, nor bitsy. Yeesh. When you sweetly asked us to, “Come check out your pet spider” we were expecting, you know, something normal-sized. But this baby is 50 inches with eight long and furry shapeable legs. 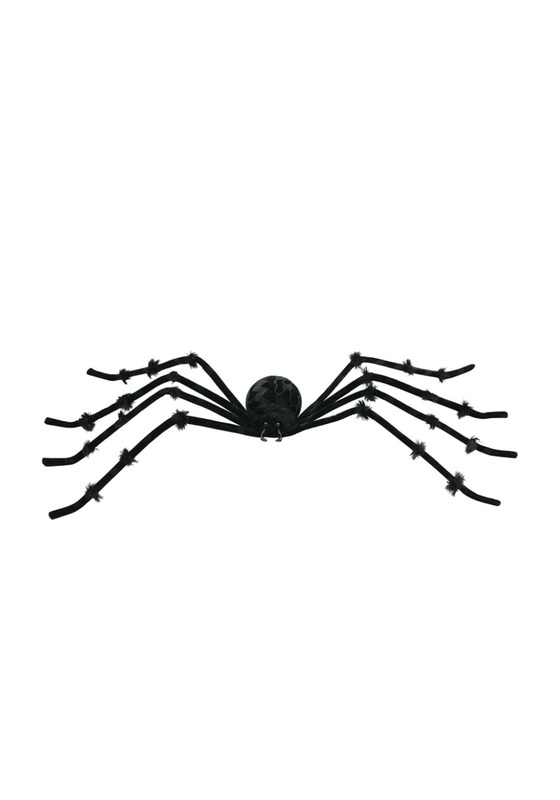 Objectively, we understand why you love it: this enormous arachnid can be used as either an indoor or outdoor decoration and looks horrifyingly great hanging from doorways, windows or walls. 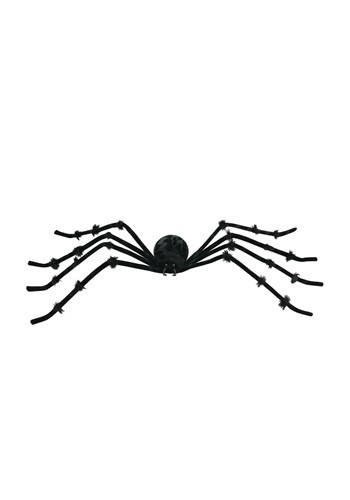 We like this Black 50 inch Posable Spider, then we may just check out his little brother--the 20 inch version; that’s a little guy we could sing to. But this behemoth just strikes us with awe...and a twinge of arachnophobia. Better quality and cost than I found on other sites. I will be using in an office Halloween contest.